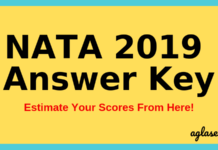 NATA 2019 – Council of Architecture (CoA) has released NATA 2019 Final Answer key, at online.cbexams.com. 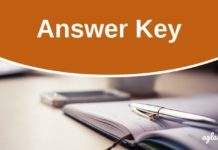 If a candidate feels that the answer given in the answer key are not correct then they can submit objects against it before 10:00 AM on April 16, 2019. The National Aptitude Test in Architecture (NATA) was held on April 14, 2019. The second examination of NATA is on July 07, 2019. The last date to register for NATA II 2019 is June 15, 2019. Both the exams will be held at the national level. Check more details on NATA 2019 from this page. Latest: Council of Architecture (CoA) has released NATA 2019 Final Answer key. Check Here. Application No / Email ID. In the admit card, the exam center, timing, date, and more details are mentioned. The roll number of the candidates is also revealed through the admit card. On the exam day, the candidates must carry the admit card in a print format. Also, make sure that the admit card is in good condition and the details, including the photograph and the signature, is clear and correct. Along with the NATA admit card, the candidates also need to carry one valid ID Proof. It can be an Aadhar Card / Voter ID / PAN Card / Driving License. Apart from the documents, the candidates also need to carry their own pen, pencil, eraser, color pencils (no water / oil color / crayon), cardboard. Demo test: Click here to give the demo test for NATA 2019. NATA 2019 Application Process has Ended for the 1st exam! The filling of NATA Application Form is majorly categorized into 3 steps. The first step is to fill the personal details, then candidates are required to upload the asked documents and then as last step candidates are required to do the pay the fee for Application Form. 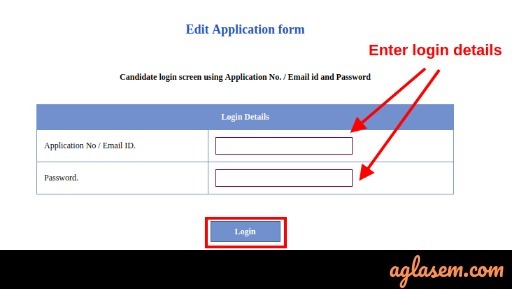 It is to be noted that it is after entering the personal details, the candidates are going to get their Application Form Unique Number. Then, after receiving the application number, candidates can set their password. Now, make sure the Application Number and Password is remembered because it is needed to complete the various things such as editing the personal information, uploading the images, payment of the fee, correction of data if needed. Application Fee – The aspirants have to pay the following amount of Application Fee for NATA 2019. Candidate applying for either First or second test has to pay an amount of Rs. 1800/-. Candidates applying for both the test have to pay an amount of Rs. 3500/-. The SC/ST category candidates need to deposit Rs 1500/- for either first or second test and Rs 2800/- for appearing in both the tests. The Candidates applying from outside India have to pay Rs 10,000 if they are applying for either first or second test and if they are applying for both the tests then they are required to pay Rs 18,000. 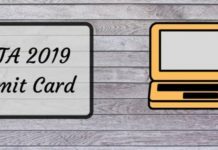 Mode Of Payment – The students can pay the above-given application fee by Electronic Payment Gateway such as Debit Card / Credit Card / Net Banking. The application form correction facility opens for all the candidates who register for the NATA 2019 exam. The application form correction window is a one time opportunity to correct any mistake committed by the candidates in their application form. Note that the application form correction window opens separately for the candidates registering for the 1st NATA 2019 exam and for the 2nd NATA 2019 exam. The application form correction window for both the exam opens for a period of 3 days. The candidates must have passed the 10+2 scheme of examination with the subjects Physics, Chemistry and Mathematics. They should have obtained minimum 50% marks in Physics, Chemistry, and Mathematics individually and also 50% marks in aggregate at 10+2 level examination. At the time of filling in details in the NATA 2019 Application Form, the aspirants will also have to select the test centers. The NATA 2019 is going to be conducted at 122 test cities in India and one at overseas, Dubai. Also, it must be noted that the candidates have to give their 3 preferences while filling the Application Form. So, choose the examination zones wisely. Check the complete list of NATA 2019 Test Centers from the table below. Area of the region included between two elementary curves. Addition and multiplication rules of probability, conditional probability and Bayes’ Theorem, independence of events, repeated independent trails and Binomial distribution. Mathematical reasoning – Statements, logical operations like and, or, if and only if, implies, implied by Understanding of tautology, converse, contradiction, and contrapositive. How to prepare for NATA 2019? #Tip 1: Prepare a Timetable: It is the sole responsibility of the candidate to prepare some techniques through which he / she can score better. Making a timetable is the first thing to do. So, prepare a timetable and follow it wholeheartedly. #Tip 2: Practice the Sample Papers: It is important to practice as many as sample papers as that is going to help a candidate to know about their strong and weak areas and then he / she can prepare accrodingly. #Tip 3: Be positive: As the preparation time creates a lot of pressure on the candidate, it is advised to candidates to keep calm and indulge in some fun activities while preparing for the examination. As a first step, let us distinguish between the two parts of NATA 2019. Part A is a Computer Based Test which consists of Multiple Choice Questions, Part B, on the other hand, is a Drawing Test which is pen – paper based. Candidates are going to be awarded with +2 marks on every correct answer. Also, there is no negative marking for any wrong answer. The result for NATA 2019 is going to be declared online and it is going to published over the official website only. Candidates can check their respective results by entering their login credentials. NATA 2019 Result is going to be released in two formats, first, it is going to show the marks obtained out of 200 in each component, second, it is going to show the status as pass / fail. Candidates must note that they are going to qualify the minimum qualifying marks in order to take admission. Before the declaration of result, the response sheet is also going to be published along with the marks secured in each part. However, no review is going to be uploaded for the Drawing Test. Also, it must be noted that there will be no provision for re-checking and revaluation of the answer sheets after the declaration of results. Important Information: Candidates who are going to opt for both the first and second test they shall note that they are going to be issued a scorecard which is going to comprise of the best of the two test’s composite marks. Composite Marks are the marks taken together as secured in both the parts A and B. For MCQ Portion: Candidates are required to have a minimum 25% in this portion. (30 out of 120). For Drawing Portion: Candidates are required to have a minimum 25% in this portion. (20 out of 80). Overall Qualifying Marks: These marks are based on post – exam statistics. Candidates are required to take admit card to the examination hall. A candidate who does not possess the admit card and valid id they cannot sit for the examination. Candidates found carrying any textual material, bits of papers or any other material except the ones which is not prescribed will be debarred from the examination. Candidates are not allowed to leave the examination hall without the permission of the Centre – In – Charge. A photograph of the candidate and the Biometric will be taken at the centre before the allotment of the seat. The seat will be randomly allotted to the candidate on completing the procedure. Q. Who can apply for NATA? A. All the candidates who have passed 10+2 with the subjects PCM and have obtained 50% marks individually or as an aggregate. Also, the candidates will be appearing for 10+2 in 2019 can also apply. Q. How many attempts a candidate can take? A. 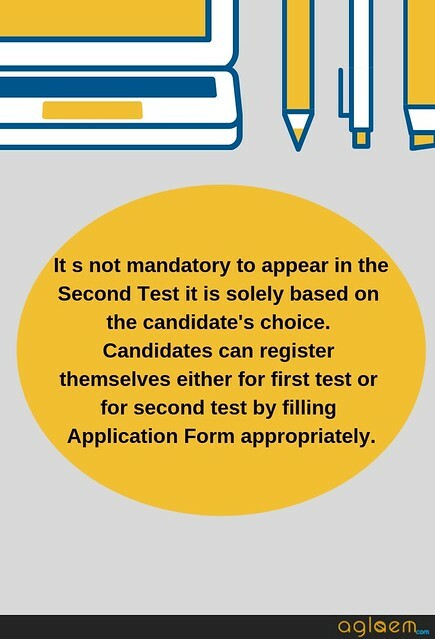 A candidate can take either of the tests or can appear for both the first and second test. However, if in case a candidate appears in both the tests then the higher marks obained in either of the two examination will be taken into consideration. Q. What are the total marks for the exam? A. The Examination is of 200 arks in total. Part A (MCQ) consists of section Mathematics and General Aptitude of 40 marks and 80 marks. Part B consists of Drawing Paper which is of 80 marks in total. Q. Will a PWD / Divyang Candidate get extra time for the test? A. Yes, a PWD candidate shall get the extra 20 minutes to take the online test subject to their disability mentioned on their Disability Certificate. Q. How can a candidate get admission in B.Arch course after passing NATA? A. After passing NATA, candidates need to apply with their scorecards to the institutions approved by the Council who offers B.Arch 5 year degree course all over the country. The final admisison shall be carried out only by the concerned competent admission / counselling authorities of the respective institutions / universities / institutions. The information brochure for NATA 2019 has been released online. As per the information provided in it, COA is conducting NATA 2019 twice a year. It will give the opportunity to the candidates to improve their NATA score in the second exam. For more information on NATA, you can download 2019 information brochure. If you have any question related to NATA 2019, then do let us know in the comment section below.